Here is our 14K White Gold Man Who Would Be King Pendant, with 14K White gold diamond cut 20" Rope chain. Included with printed descriptive materials and genuine velvet presentation box. My Man Who Would Be King jewel just arrived. It is magnificent! 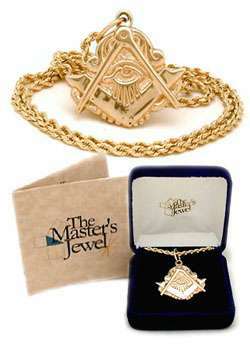 I really like the antique look, the heaviness of the pendant, and the truly wonderful rope gold chain. 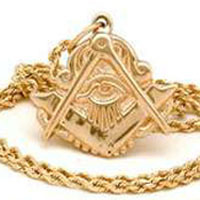 This is a special emblem of my Masonic journey. I hope to one day pass it on to my son! Thank you! Just got my Jewel today. It exceeded my expectations. Drew was excellent to deal with. Communication was very professional. I will be ordering more in the future!